Each of our blends is locally selected to meet the regional and seasonal needs of the birds. 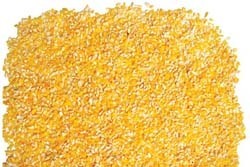 We do not include filler grains like oats, wheat and milo that decrease the price per pound of a mix, because these filler seeds are less attractive (or not attractive) to birds. Because there is no wasted seed, our blends actually end up costing less to use while attracting more of the birds that you want to watch. No shells. No mess. 100% edible. 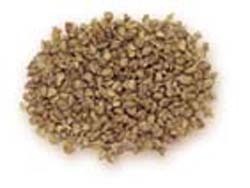 This blend of seeds is great near flower beds, patios and decks. Our unique No-Mess Blend features seeds that have had their shells removed so only the meat of the seed is left. No hulls makes for tidier feeding, since there's no debris on the ground to clean up. 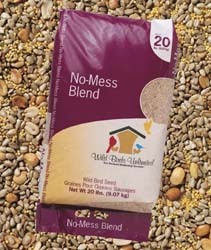 Pound for pound, our No-Mess Blend bird seed offers the best value because you do not pay for uneaten waste. The birds eat everything. Our special blend of sunflower chips, hulled white millet and shelled peanuts appeals to birds that eat at the feeder or on the ground. 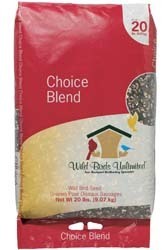 Our Choice Blend is a fantastic "choice"! 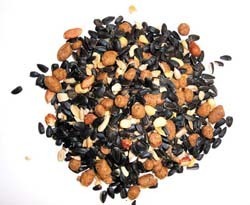 Offering a mixture of seeds containing high oil content, the five (5) seed blend (black oil sunflower, sunflower chips, shelled peanuts, safflower and striped sunflower) does a great job of attracting a variety of birds, including chickadees, woodpeckers, titmice, nuthatches and cardinals. Try offering Choice Blend in a hopper feeder, seed tube feeder or tray feeder, and add loads of fun to your backyard bird watching experience. 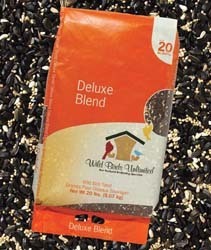 Deluxe Blend features oil sunflower, white millet, safflower and striped sunflower to create a multi-purpose blend that feeds birds at the feeder and on the ground. We recommend the hopper feeder/ catch-a-seed combo. Our Finch Blend is a combination of fine sunflower hearts and Nyjer®. 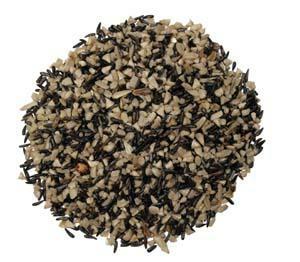 We have found that this blend will attract the largest variety of finches along with other species such as chickadees, Downy woodpeckers, and nuthatches. Finch blend is served best in any finch feeder. We recommend using Feeder Fresh™ with all finch feeders. Premium Oil Sunflower is a favorite of almost all seed-eating birds and the most common ingredient in our blends. Our Premium Oil Sunflower is a great source of energy for the birds and 99% free of sticks, stems or other foreign matter so your feeders won't clog with debris. Oil sunflower has a high calorie/ounce ratio due to its high fat and protein content and its relatively thin shell. 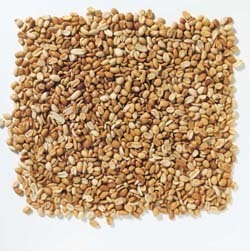 Among seed ingredients, oil sunflower attracts the greatest variety of small and large seed-eating birds. Studies by the U.S. Fish and Wildlife Service and the Cornell Laboratory of Ornithology have shown that 90% of seed eating birds prefer oil sunflower seeds to both striped sunflower and white proso millet. Fill your feeders with this top-grade fuel, and watch the birds flock. We'll even carry it out to the car for you! Sunflower-eating birds love Safflower; squirrels and blackbirds typically don’t. If you are looking to be more exclusive with your bird feeding, Safflower may be the solution for you. Safflower can be offered in hopper, tray or tube feeders, and it is especially helpful for window or deck feeders where blackbirds or squirrels may be a problem. Some people may suggest to offer safflower gradually, mixing it with the seed blends you currently provide, and over time, you'll end up with a dining spot for all kinds of birds. I say "no way, José", birds are smart and they will pick through and make a mess. I say "BE VIGILANT"! Just go all in and switch completely over. Birds are habitual, if you offer them nothing else you will see a big return. Including House Finches, woodpeckers, nuthatches, chickadees and cardinals. Once they enjoy the Safflower you can return your other options. Nyjer® (thistle) is finches' favorite food. Nyjer's high oil content makes it an excellent energy source for active birds, and it's best used in our specially designed finch feeders. It is important to keep the food fresh because finches can be picky eaters. Nyjer® has a thin shell and is vulnerable to spoilage while in the tube. Once seed starts to dry out and become stale, finches will look for fresher forage. Replace the seed in your feeders every three to four weeks if it is not being actively eaten. Store your bird food in an airtight container for a longer shelf life, and buy in quantities that will be used up in a few weeks. Try in combination with Feeder Fresh™. Hulled Sunflower is birds’ favorite food without the mess of shell debris. Get more birds for your buck by offering sunflower seeds without their shells. No shells means no mess under your feeder. 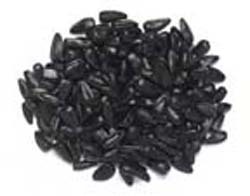 Hulled sunflower seeds have a high oil content and provide birds with an extra kick of energy. 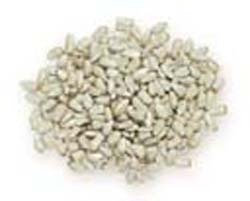 It's an ideal seed to offer in feeders near patios, sidewalks or balconies. Offering hulled sunflower is also cost efficient, because you're not paying for the shells that are not consumed. Peanuts are the best single source of protein and fat, not to mention a high-energy option which a wide variety of birds really enjoy. 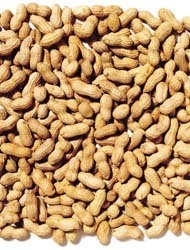 Species such as woodpeckers, titmice, nuthatches, chickadees, jay and cardinals will frequent peanut feeders. Much of their time will be spent carring the peanuts off to cache them for a later meal. We offer a variety of bird feeders that allow the birds to pull the peanuts from the feeder, as well as choose how and where they cling to the mesh. 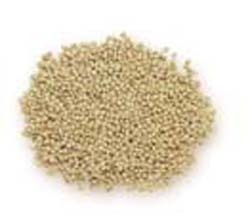 Not to be confused with RED Millet (or Milo) which is used as a filler seed, white millet is actually the SECOND most prefered seed among seed eating birds. It is mainly eaten by ground feeding birds and is a staple in our house during spring migration. It will attract the different varieties of Sparrow, Mourning Dove, and even the Indigo Buntings! 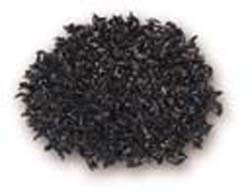 This is mainly thought of as a ground seed, use in combination with any of our Ground or Hanging tray feeders. You will attract mostly different Sparrow varieties, Mourning Dove, Blue Jays and, of course, squirrels. Other birds are attracted as well, I have seen several Cardinals enjoying cracked corn in the dead of winter. 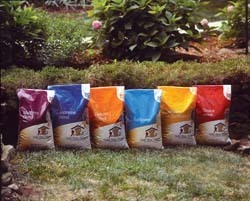 Looking for a simple, no mess way to feed the backyard critters? 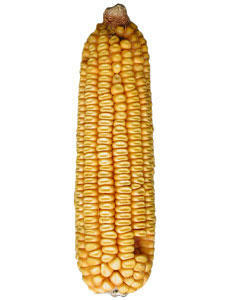 Ear corn is the answer. Ear corn is a backyard food that can be offered year-round. It is ideal for feeding squirrels and jays and can be offered in a variety of feeders, from ground or hanging trays, to feeders designed specifically to hold the ear corn and make the squirrels work hard to get the food while entertaining you and your family. Stop in to see our selection of corn cob feeders.